You have 200,000 customers on your database. You have an excellent new product. You want to make an offer to your customers that will be warmly received by your customers and profitable for you. Past experience shows you that not more than about 2% of your customers will accept this type of offer on the first round — whether you use mail, phone or a combination of both. Two percent is a very low number. Is there some simple and inexpensive way that you can increase your success rate? Yes, there is: providing you have two things: previous purchase history in your database records and the willingness to make use of a powerful database marketing technique, specifically Recency, Frequency, Monetary (RFM) analysis. RFM is really quite old. It was invented more than thirty years ago. 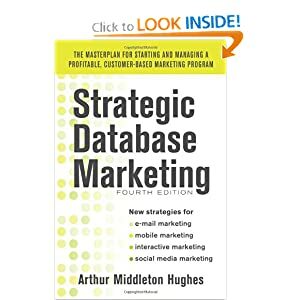 It will always increase your profits when mailing to a customer database with purchase history. It is surprising, therefore, how many companies are not using it to target their promotions. They are just throwing money away without realizing it. The beauty of RFM analysis is that it can be done on a PC. You don’t need to hire a statistician or modeler. You don’t need to spend money to overlay your file with external data. All you need is some simple software (either written by your own programmer, or purchased) and a spread sheet like Excel or Lotus to keep track of what you are doing. For those who have not used it yet, let me give you a simple run through. RFM analysis is based on the theory of customer behavior. People who have bought from you recently are more likely to respond to a new offer than people whose last purchase was months or years ago. People that buy from you frequently are more likely to buy again than those who patronize you less often. People that spend a lot of money with you will be more receptive to a new offer than those who spend very little. These three principles are universal. They work for consumer and for business to business situations. They work for almost any product or service. Here is the way you apply them. Each customer record in your database needs to have one vital piece of data: the most recent purchase date. Armed with this number, you sort your entire database by that number with the most recent at the top and the most ancient purchase at the bottom. Then you divide your file into five exactly equal parts (quintiles). If you have 200,000 customers, each quintile will have exactly 40,000 customers in it. You put a “5” in each database record of people in the top quintile, “4” in the next, down to “1” in the bottom quintile. Don’t try to “hard code” your Recency Codes by making the top quintile 0-3 months, the next 3-6 months, etc. That is the old fashioned way, and it requires expensive programming. Instead, simply divide your file into five exactly equal parts. The “5”’s will respond much better than the “4”’s etc. This chart was taken from a mail promotion to 30,000 customers last year, selling them a product that retailed for about $100. You will be amazed to find that you will get a very similar response rate. Higher frequency codes respond better than lower ones, but the differences are not as pronounced as they are with recency. ere, we have determined the break-even rate for each cell. Break even is when the cost of promoting the cell (pieces mailed, or phone calls made) exactly equals the net profit made from any sales to people in that cell. As you can see, in the 1995 promotion to 30,000 people, only 34 cells did better than break even. The remaining cells lost money. The profits from RFM analysis come from one simple technique: do a test to find out which cells do better than break even. Then do a rollout only to the profitable cells. In the promotion shown above, the 30,000 mailed were a representative sample of the 2 million in the database. When they knew which cells were profitable, they selected 554,000 people from the two million customer base who were in those profitable cells. The result was a highly profitable rollout with a $307,000 net profit. A word of caution about RFM. RFM is like taking drugs. RFM is so powerful and profitable that some marketers get hooked on it, and want to use it all the time. That would be a mistake. Two bad things happen. First, if you use it exclusively, you will only market to your most responsive customers, and neglect the others. They will slip away. Second, your best customers will be promoted too often. They will suffer from “File Fatigue” and begin to ignore your offers. Use RFM in moderation, and you will have a highly profitable marketing future.